Details: Leaded glass window, shutters. 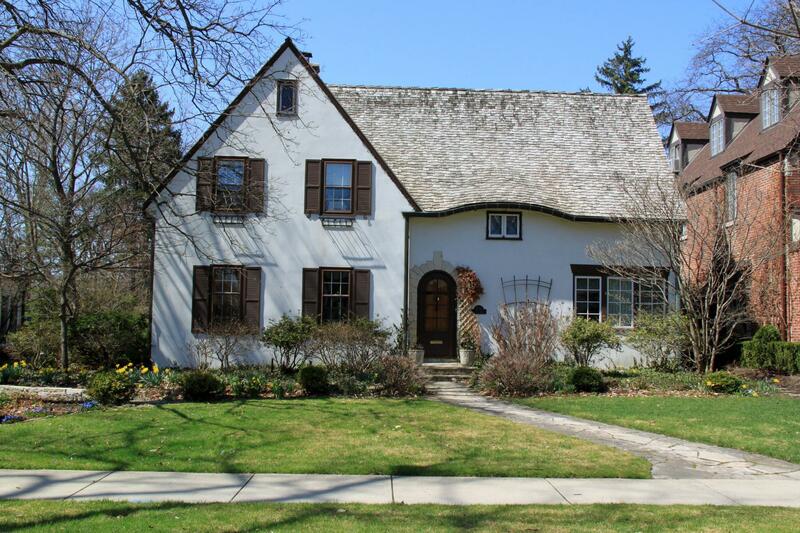 Historic Features: Arts and Crafts-influenced home with arched entry, eyebrow break in eave line; stucco wall cladding. 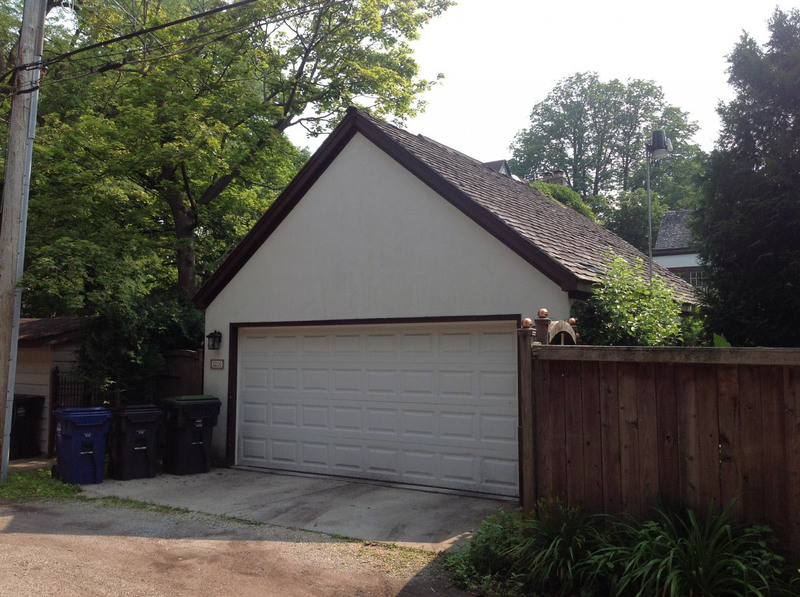 Exterior Alteration Permits: 09WNDR-0025, window replacement; 05RFS0000000092, tear off and replace roof; 02FRA0000000230, rear fence and gate; 02ACC0000000107, tear down and replace gar; 01ADD0000000055, 1 story add and 1 stry sunpor addition. COA Info: 09PRES-0135, on N elev remove wd windows of former gar (now a family room), enlarge existing window opening and install new wd windows; 05HIS0000000048, tear off existing cedar shingles and replace with 18" fire treated cedar shingles; 02HIS0000000178, demolition of existing gar, construction of new 2-car gar with gable roof and stucco exterior finish; 02HIS0000000167, erect new 6''x62''cedar wood solid fence at rear (including 3''x 6'' double gate). Historic Info: Evanston Landmark. Statement of Significance "This modest, stucco-covered residence is representative of the high quality in design that could be achieved with very simple means...Built for Ralph W. Burton, Treasurer of Toy Tinker Company."